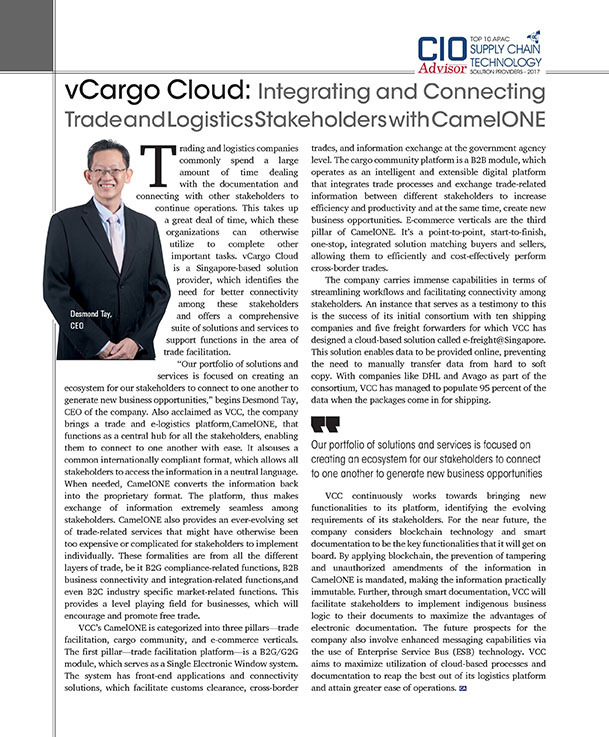 vCargo Cloud (VCC) has been identified by CIO Advisor Magazine as the “Top 10 APAC Supply Chain Technology Solution Provider 2017”. 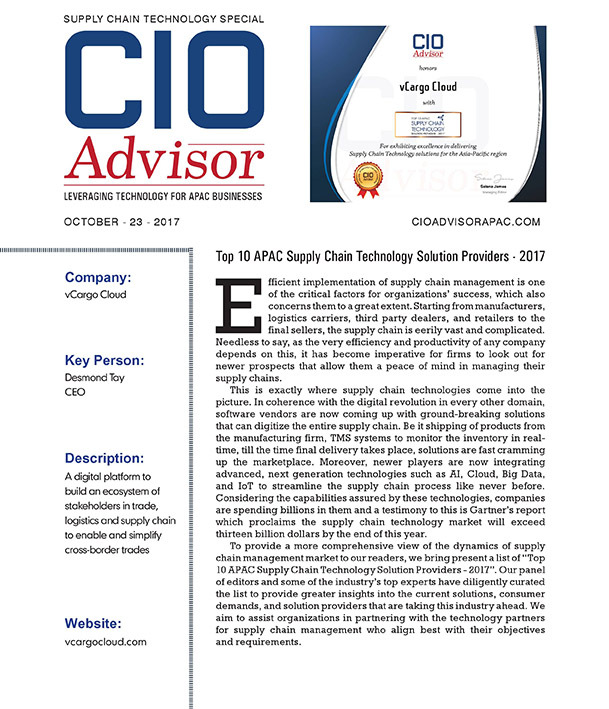 CIO Advisor is an industry-recognised magazine that publishes groundbreaking innovations in technology solutions and industry opinions. 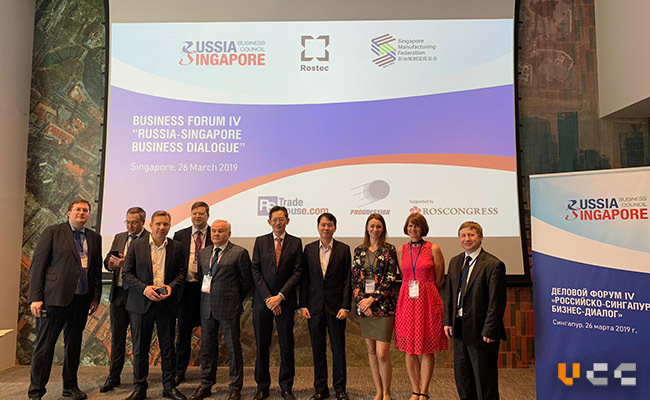 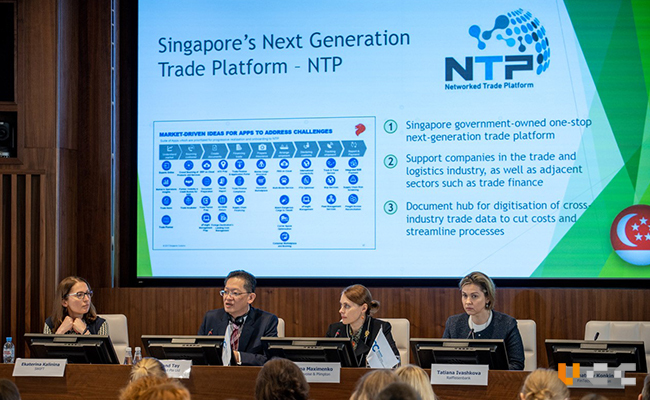 Leading the industry with their innovative supply chain solution through the integration of advanced technology such as AI, Big Data and IOT, VCC continuously works towards identifying evolving requirements of its stakeholders by incorporating next generation technology – blockchain technology, smart documentation and Enterprise Service Bus (ESB) Technology as part of its offerings. 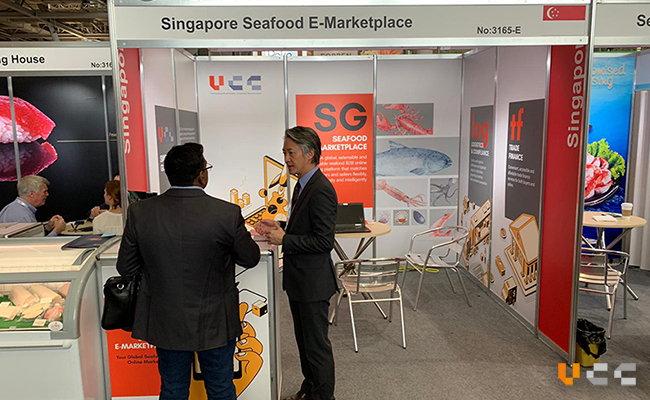 VCC is a trade facilitation solutions provider that helps to streamline trade documentation, facilitate seamless exchange of information and provides a central hub for trade stakeholders to connect.